Biospecimen quality is a major problem in biomarker development research. Many biomolecules are known to be labile under conditions of sample collection, processing and storage, particularly when delays allow degradation. These preanalytical variables are often poorly controlled or documented, but they could significantly impact on sample quality and biomarker measurements. Previous work in several laboratories used MALDI profiling of low molecular weight peptides in serum and demonstrated considerable variation in the profiles with collection conditions. When we began our NCI CPTAC project in 2006, Lisa Zimmerman began a study to systematically assess plasma protein degradation under conditions of delayed processing of blood collected into EDTA-plasma tubes. We were amazed to find that shotgun proteome inventories of samples held at room temperature for 24 hr or longer were essentially identical to those for freshly processed plasma. Unlike previous work, our study focused on plasma (much less proteolysis than in serum, because the clotting cascade is inhibited). Lisa then undertook a series of proteome analyses of plasma collected under various conditions of delayed processing at different temperatures. She also compared plasma proteome inventories of samples subjected to repeated freeze-thaw cycles. Lisa also compared proteomes of plasma samples from hemolyzed and non-hemolyzed samples. All of these analyses revealed minimal effects of these preanalytical variables on shotgun protein inventories and on the identified peptides. Moreover, semitryptic and Met-oxidized peptides (indicators of proteolysis and oxidation) were not significantly affected. Lisa also made targeted MRM measurements on peptides known from previous work to be labile to proteolysis during serum preparation. She found that these also displayed minimal changes in her experiments. Lisa’s work is published in the June issue of Molecular and Cellular Proteomics. In view of the previous literature, these findings were quite unexpected. However, Lisa’s study focused on measurements of proteins at the peptide level following tryptic digestion. Her data indicate that whatever degradation processes may occur at the whole protein level (protein unfolding, oxidation, proteolysis), the effect at the peptide level is minimal, probably because damage is spread across many proteins and peptides in the plasma proteome. The results suggest that guidelines for sample collection for MRM-based measurements of plasma proteins may not be as restrictive as previous MALDI profiling studies in serum would suggest. This result also is significant because it suggests that discarded plasma collected from diagnostic laboratories could be used for MRM analyses. This approach is the basis of the Vanderbilt BioVU DNA Databank (http://www.vanderbilthealth.com/personalizedmedicine/32243), which stores sample DNA from discarded blood with a deidentified medical record. A similar resource based on discarded plasma and deidentified medical records could be a valuable resource for research in biomarker development and personalized medicine. 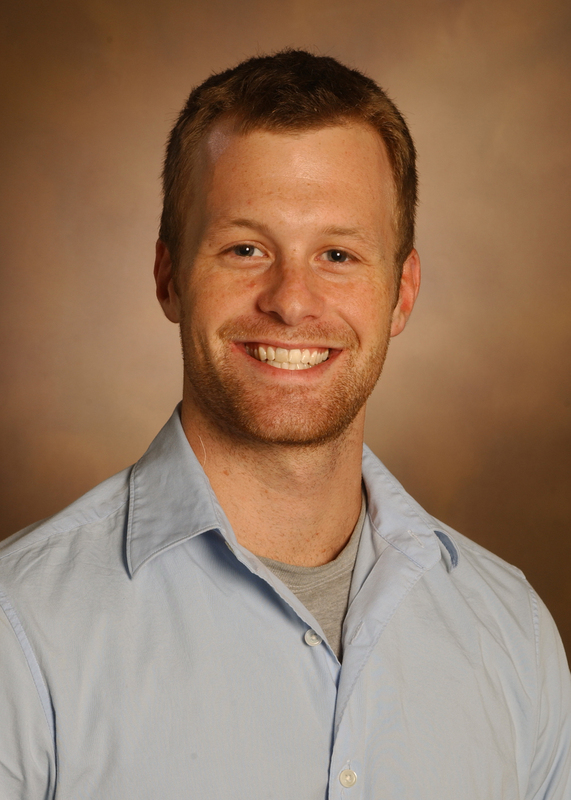 Graduate student Matt Myers’ dissertation project asked the question, “Can protein expression changes indicate responses to drug inhibition of a signaling network?” Matt’s recent paper in Molecular and Cellular Proteomics studied epidermal growth factor receptor (EGFR) signaling, which is the target of several anticancer drugs. He used shotgun proteomic analysis to compare the proteomes of EGF-stimulated A431 carcinoma cells with the proteomes of EGF-treated cells also treated with either the tyrosine kinase inhibitor gefitinib or the anti-EGFR antibody cetuximab. The comparisons identified a dozen proteins whose EGF-dependent expression changes were reversed by both drugs. Matt’s dissertation committee suggested that he focus on these dozen proteins as possible markers for EGFR inhibition in other systems. Matt used an MRM assay panel to measure expression changes in these proteins in cell models that are responsive or resistant to EGFR inhibitors. In the responsive cells, the markers changed levels as in the A431 model, whereas no changes were measured in the resistant cells. In archival FFPE tissues from a cetuximab-responsive mouse colon tumor xenograft model, most of the detectable marker proteins exhibited the expected response to treatment. In cetuximab-resistant xenografts, no changes in the markers were measured. Finally, Matt was able to detect cetuximab-dependent changes in several of the markers detected in stomach tissue biopsies from a patient with Menetrier’s disease, a hyperproliferative disorder of the stomach lining. Matt’s study establishes that protein expression changes can indicate response of a signaling network to targeted therapeutics. The importance of this work is that protein expression changes are robust and easier to measure than changes in the phosphorylation states of network proteins, particularly in tissue biopsies or FFPE specimens. We are further exploring this approach to the development of companion diagnostics for cancer therapeutics. Matt successfully defended his dissertation and completed his Ph.D. just before Christmas. We wish him the best in his new postdoc position.